New to Kundalini Yoga? Want to know what it’s all about? This online workshop will help you build a strong foundation in the basics. Kundalini Yoga is going viral around the world – and for good reason! It’s an amazingly transformative practice that will elevate you, challenge you, and encourage your personal and spiritual evolution. Kundalini Yoga is known as the yoga of awareness. It is a technology that incorporates breathing practices (pranayams), yoga sets (kriyas) and meditations to achieve balance, mental clarity and physical well-being. Kundalini Yoga takes a unique approach to yoga. Many people find themselves asking “What was that?” when they finish their first Kundalini Yoga class. But then its effects start to work, and they realize their mind is clear, they are more in tune with their emotions, and they are more connected with their physical body. 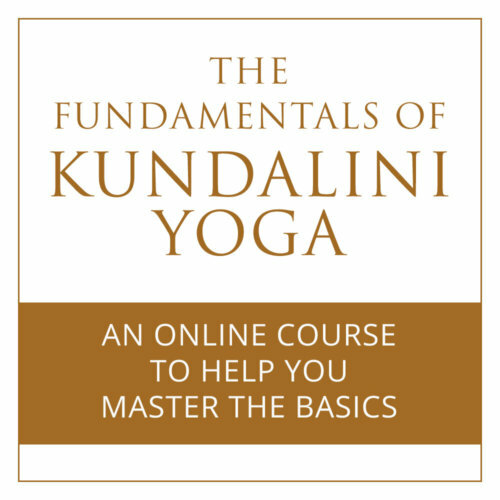 In this course, you will create a strong base of the core principles and practices of Kundalini Yoga so that you get the most out of your practice. 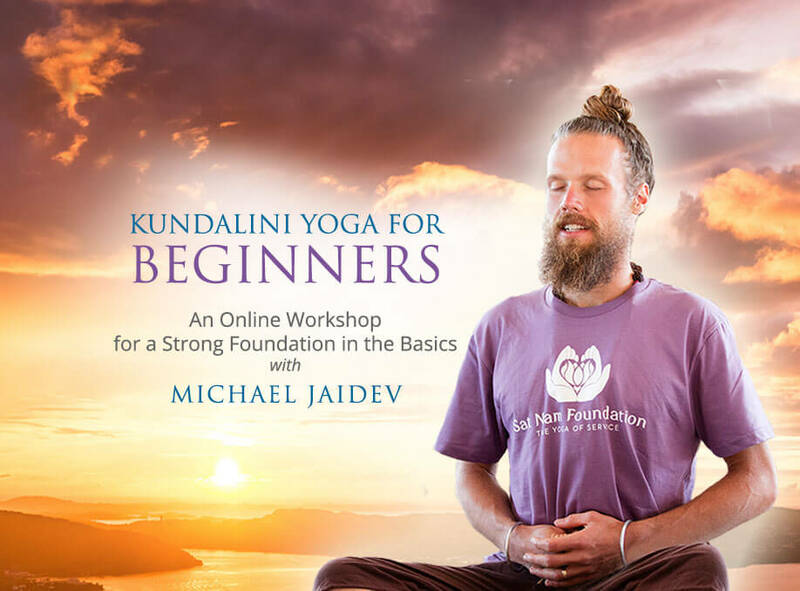 Kundalini Yoga For Beginners will introduce you to concepts and practices that will serve you for the rest of your life. This workshop will demystify these concepts so that you can participate on a deeper level, whether at home, in a class, or at a festival. It includes basic breathing, meditation and yoga practices for you to learn and grow with. The explanations are thorough and backed with theory and experience. You will receive video instruction as well as downloadable manual to support your learning. This course will help bring a deep sense of awareness to your life, and give you the tools you need to begin using Kundalini Yoga as a path to wellness. Michael Jaidev is a dynamic, engaging teacher with a gift for explaining challenging concepts and practices so that you can understand them. He will motivate you to incorporate breathing practices, yoga sets and meditations into your everyday life. At a young age, Michael Jaidev was teaching math and science to middle school children in Los Angeles while simultaneously being trained in Kundalini Yoga. The discovery of Kundalini Yoga dramatically shifted his approach in the classroom and delivered positive results. In 2007 he led a children’s program in Alaska, and fell in love with the Wild! He left the big city of LA and moved to Alaska where he led “Wilderness Therapy” expeditions and infused the programs with yogic technology. In between Alaskan adventures, he lived in the valleys of Hawaii and traveled across the world training in various martial arts, yoga, and healthy lifestyles. 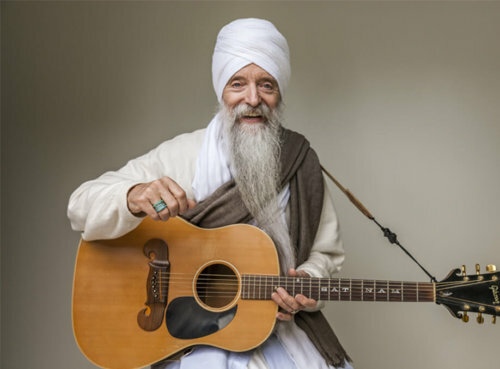 Involved in the KY community, he taught “Outdoor Skills” at Khalsa Youth Camp for a couple years and began volunteering with Sat Nam Fest in 2011. His service at Sat Nam Fest organically evolved into a job where he currently develops and coordinates the volunteer program. In 2016, he volunteered as a search and rescue professional for 3 months with Sat Nam Foundation in Greece. Upon arriving home, he happily accepted the position as Director of Operations for the foundation. Since 2016 he has activated projects in Puerto Rico, Mexico and India. He currently lives with his wife and son in Tepoztlan, Mexico. Is this course recommended for experienced yogis? Yes! We can all benefit from reviewing the basics, and taking time to revisit the core practice of Kundalini Yoga. We so often take them for granted! It is often helpful to hear things explained in new ways so that we can deepen our relationship with our practice. This course is eligible for 2 hours of non-contact CEU’s with Yoga Alliance under the criteria for substantial education for an online course.